Cannabidiol (CBD), the main non-psychoactive chemical compound found in cannabis, has been gaining praise recently due to its long list of health benefits. People suffering from physical pain, anxiety, depression, IBS, and other conditions are finding relief through the use of CBD. 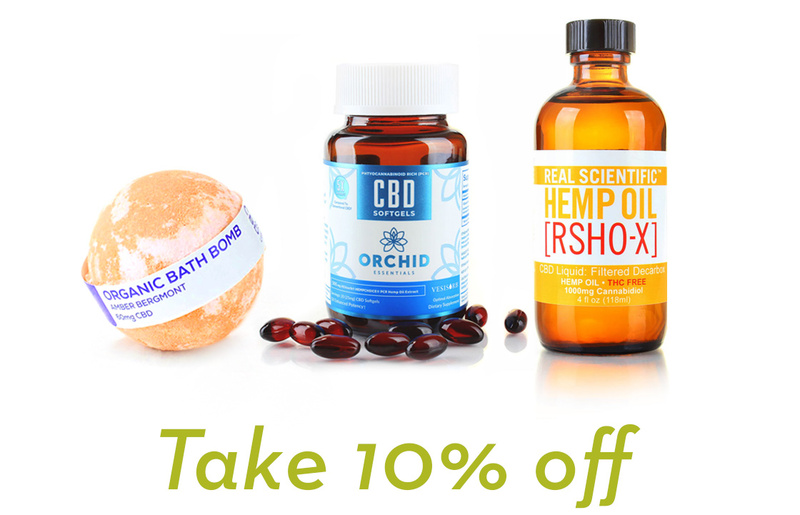 Now, researchers are saying that CBD can be utilized as an incredible skin care agent. The relationship between CBD and dermatology continues to gain traction as more research reveals the positive implications for CBD use and skin care. Research indicates that CBD can help with inflammation, swelling, and other skin concerns. Consumers can now add CBD to their skin care routine. In this discussion, we dive into common skin conditions that trouble people on a daily basis. Incorporating CBD topicals and other CBD products into your self-care routine can be favorable in comparison to other products. As skin care products have progressed, people are moving towards more natural skincare and cosmetic routes. In this regard, CBD for skincare has never looked better. Topicals are applied directly to the skin’s trouble area (i.e. breakout, rash, cut, or fine line) so CBD’s properties can work directly where they are needed most. CBD can be absorbed directly through the skin with the use of CBD topicals, allowing quick and instant relief. If topicals aren’t your thing, CBD can also be ingested. However, this typically takes longer for the CBD to be absorbed into your bloodstream. People that ingest CBD orally usually feel the effects within 30 minutes depending on body weight and other various factors. A lot of factors can contribute to acne. Your eating habits, stress levels, changes in medication or hormones can have an impact on your skin. Unfortunately, many skincare products claiming to clear and prevent breakouts can actually end up irritating the skin, making breakouts and acne even worse. Scientists are beginning to recognize the connection between the endocannabinoid system (ECS) and skin health. According to studies presented in Trends in Pharmacological Science, “Recent studies have suggested the existence of a functional ECS in the skin and contribute it to various biological processes. Disruptions or inconsistencies in the ECS may facilitate the development of various pathological skin conditions and diseases. These include, but are not limited to acne, seborrhea, allergic dermatitis, itchiness and pain, psoriasis, hair growth disorders, systemic sclerosis and cancer. Those suffering from acne or inflammed skin have turned to CBD for relief when they aren’t finding results elsewhere. CBD can combat the development of acne by inhibiting the lipid production in your skin cells. In doing so, CBD limits the production of oil in the skin, and tames inflammation. These are perhaps the two biggest causes of acne and unclear skin. When people experience breakouts, the skin around blemishes can be inflamed, and sometimes infectious. CBD acts as a anti-inflammatory compound and antibacterial superstar, reducing the likelihood of the spread of acne and other skin conditions. When CBD is applied to your skin topically it affects the Endocannabinoid System (ECS), a central and crucial system in the body responsible for maintaining the harmony and balance between systems in the body. The ECS is full of healing cannabinoid receptors of its own. CBD has the capability of interacting with those receptors to further encourage homeostasis (balance) and healing. The ECS is a core reason why CBD is so effective, as it pertains to the life-cycle of basal cells. Basal cells are the cell type that make up nearly 90 percent of the cells in your skin. 90 percent! Healthy skin is only possible when your body can sufficiently replace dead cells with new cells. When CBD oil is applied to the surface of your skin, it interacts directly with the ECS to improve the life-cycle of new, healthy skin cells. These new skin cells generate a more youthful radiant appearance in your skin. A nice addition to CBDs skin benefits is that it is a powerful antioxidant. In fact, CBD is more powerful than vitamins A, C, and E combined. These vitamins are the omega-3 fatty acids that provide your skin with a healthy look and feel. CBD skincare products, including soaps, creams, and lotions, all help protect users’ skin from inevitable factors that cause fine lines and wrinkles. Smoke, UV rays, and environmental pollutants can cause wrinkles and other skin discrepencies that can be relieved through the use of CBD. When your skin is protected from these harmful free radicals, it will appear softer and younger. In addition to dwindling fine lines and wrinkles and clearing up pesky breakouts, CBD could potentially treat serious skin conditions as well. Those suffering with eczema, psoriasis, and skin cancer may be able to find relief through the use of CBD. A study found in the British Journal of Pharmacology, found that phytocannabinoids (CBD and CBG, or cannabigerol, in particular) have the ability to control cell proliferation and differentiation. This means that the compounds could be an effective treatment for skin cancer, malanoma, and skin allergies. In connection to those specific conditions, it has been found that CBD can work wonders on warts, moles, and even HPV outbreaks by reducing abnormal cell death. However, more clinical research still needs to be conducted in order to provide a concrete answer. People with eczema often experience red, itchy, or scaly skin. This is another skin condition that can benefit from the use of some CBD topical love. While the exact cause of eczema (more formally known as atopic dermatitis) is still unknown, medical professionals highly suspect it to be a type of allergic response associated with skin inflammation. Logically, CBD could help improve relief from skin rashes thanks to it’s anti-inflammatory properties. In addition to the natural health benefits that CBD provides individuals, CBD topicals contain an array of essential nutrients including vitamins, minerals, proteins, and fatty acids that all encourage skin health. Vitamins A and D are specifically responsible for skin repair, supporting cell growth and inhibiting oil production. You can thank these vitamins for keeping your skin soft, supple, and pretty. Vitamins C and E are antioxidants that protect the skin’s collagen and elastin against damage from the sun and environmental factors like smoke and pollutants in the air. And finally, B complex vitamins aid in the construction process necessary to keep skin, hair and nails healthy and strong, also preventing hair loss and skin conditions like dermatitis. CBD topicals have proven to clear up skin rashes, prevent acne breakouts, and reduce the appearance of wrinkles. CBD as an antioxidant is efficient in protecting your body from external and environmental damages like smoke and the suns powerful UV rays. Daintri is one of the leading online suppliers of CBD skin products including moisturizers, cleansers, anti-aging creams, skin serums and more. We offer an extensive range of curated CBD products that have passed strict quality and safety tests. These products are made with the finest ingredients to deliver optimal results. If there are any questions about products, manufacturing processes or extraction methods, please let us know. We are on a mission to help as many people as possible with their health ailments. Next post: How Does CBD Work?